Group translocation is a transport process that chemically alters a molecule during its passage through the cytoplasmic membrane (figure 3.30). Consequently, uptake of that molecule does not alter the concentration gradient. As an example, glucose and several other sugars are phosphorylated during their transport into the cell by the phosphotransferase system. The energy expended to phosphorylate the sugar can be regained when that sugar is later broken down to provide energy. Transporters of this type allow a proton into the cell and simultaneously either (a) bring along another substance or (b) expel a substance. 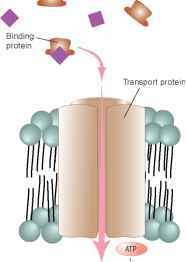 Figure 3.29 Active Transport Systems that Use ATP ABC transport systems require energy in the form of ATP! A binding protein that resides outside of the cytoplasmic membrane delivers a given molecule to a specific transport protein! Figure 3.30 Group Translocation This process chemically alters a molecule during its passage through the cytoplasmic membrane. Consequently, uptake of that molecule does not alter the concentration gradient.